Wait a second, it's Wednesday, not Tuesday! Well hold your little horses and I'll tell you what's going on. 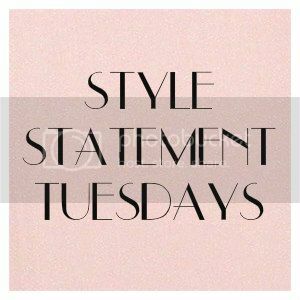 Next week's Style Statement Tuesday, December 4, will be a little different. Each person who links up will be entered into a drawing for a chance to win a $10 Target gift card. The winner will be announced on Wednesday December 5.